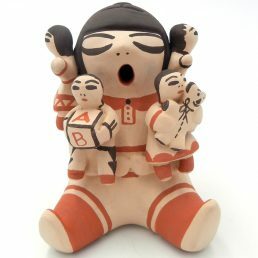 For many, New Mexico is synonymous with Southwestern Indian jewelry and arts, and pottery is no exception. 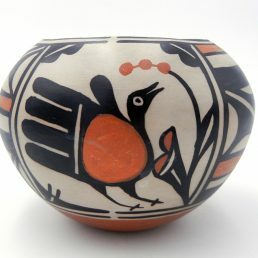 With rich earth tones and vividly-painted intricate patterns, it is no wonder that Native American Indian pottery in the Southwestern style is so captivating. 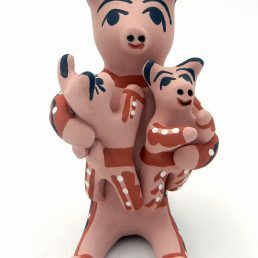 The pottery tradition has a long and fascinating history in the southwestern United States. 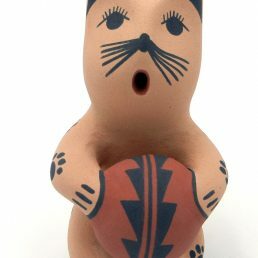 Pottery has been made by Southwestern Indians for over 2,000 years, with some of the earliest forms of Rio Grande Valley pottery dating to 700 AD. Although Indian pottery wasn’t elevated to its current status as artwork until the late 1800s, pottery making techniques have changed very little over the centuries. Clay for pottery is still gathered from around the Pueblo and treated and prepared manually, a process that can take many days to complete. 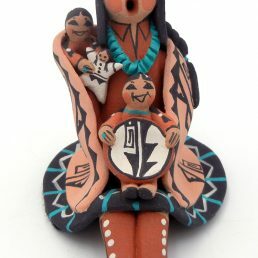 Authentic Native American Indian pottery is also still made by hand: hand coiled and shaped and scraped (sanded) with shells, stones or gourds. The process by which Indian pottery is created lends to the distinctive Southwestern style, however, the decoration of pottery is what sets Southwestern art apart. 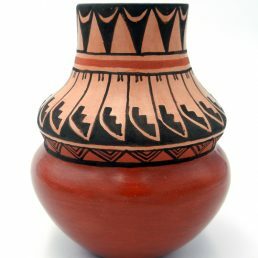 For collectors and experts, it’s easy to see the unique styles and designs of pottery characteristic of individual southwestern Pueblos. 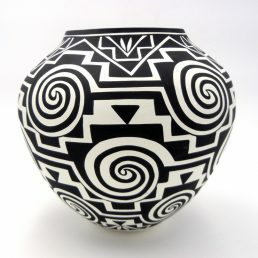 But together, the geometric patterns, animal shapes and earth-toned colors of pottery from Acoma to Zuni all blend together into a distinctive Native American Indian “look,” which has become synonymous with the Southwestern style. The cultural significance of the designs and patterns employed on each pottery piece connects the piece with the artist’s larger community and history, which bring deeper meaning to your Indian pottery collection. 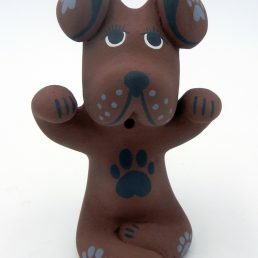 Each piece of pottery at Palms Trading Company is unique and hand-made using traditional techniques. 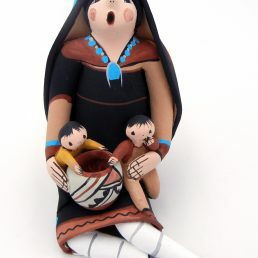 When you purchase a piece of Indian pottery, not only are you purchasing a one-of-a kind art piece, you are also purchasing a connection to the long history and cultural traditions of the Southwest. 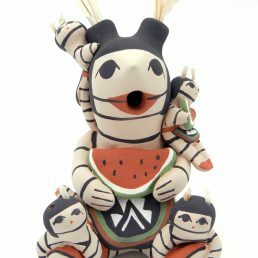 Palms Trading Company carries a wide range of Southwestern Indian pottery, jewelry and art. If you aren’t quite sure which piece you want, or don’t quite see the piece you’re looking for, please contact us. Our personal shopper will be able to help you find that perfect piece for your collection.